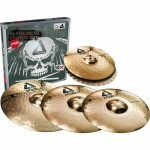 Paiste Alpha B Cymbal Rock Hats 14"
Alpha Rock Hats Sizes: 14" Weight: medium heavy top / heavy bottom Volume: medium to very loud..
Paiste Alpha B Cymbal Medium Hats 14"
Alpha Medium Hats Sizes: 14" Weight: medium light top / extra heavy bottom Volume: medium soft..
Alpha Metal Set (14" Hi Hat, 18" Crash, 20" Ride) Series Description: The creation of mid-r..
Paiste PST 8 Universal Set + Crash 18"
PST 8 Overview Series Description: PST 8 cymbals are crafted from the legendary 2002 bronze, ref..
PST3 cymbals are an affordable range from Paiste engineered to be a great upgrade to the cymbals you..
Paiste PST 5 Universal Cymbal Set + Medium Crash 18"
The Paiste PST 5 Universal Cymbal Set features 14" medium hats, 16" medium crash, 20" medium rid.. 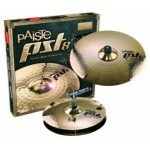 Description: The fusion of Swiss cymbal sound know-how with German hi-tech expertise. 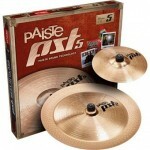 PST cymbals re..
Mid-range cymbals featuring Swiss craftsmanship at an economical cost. 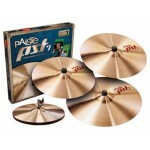 Crafte..
Paiste PST 7 Light / Session Cymbal Set + Thin Crash 18"
Paiste Sound Technology stands for first-class manufactured cymbals and high quality sound design at..
Order now and get into a sonic groove. 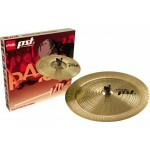 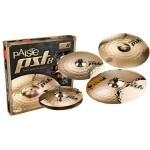 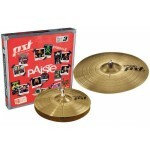 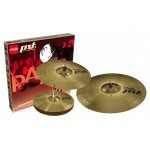 The Paiste PST 5 Universal Cymbal Set features 14" medium ..
Special effects for your sonic imprint. 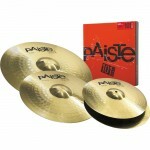 A Paiste cymbal set eith a 10" splash and an 18" China ..
Upgrade your cymbal sound without blowing your budget. 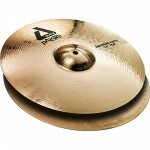 16" crash, 20" ride, and 14" hi-hats. 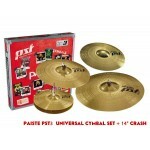 H..
Special effects. 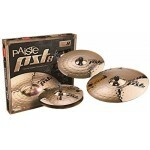 Paiste 10" splash and 18" China cymbals in a convenient effects pack. 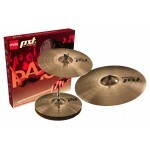 Splas.. 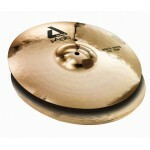 Brilliant performance and versatility. 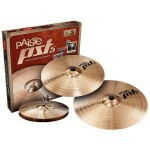 The Paiste 201 Bronze Universal Cymbal Set gives you 14"..
101 Brass and 201 Bronze are manufactured according to the same high standards as previo..